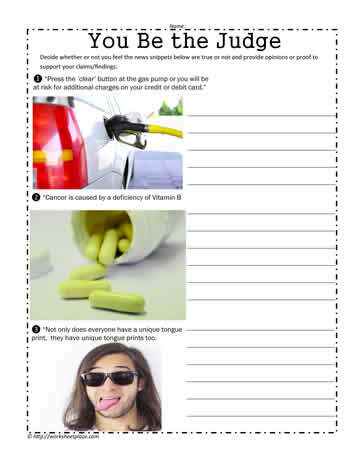 Fake news worksheet for critical thinking and news report analysis. Use these worksheets for media literacy to help build news analysis skills. Don't believe everything you read and use your research skills and news analysis skills to help you determine the difference between real and fake news.